Because chocolate, and because you just might need one more fast, fabulous, elegant dessert that everyone can enjoy, today I’m sharing a Chocolate Ganache Torte from my Rouxbe Essential Desserts Course. It’s perfect for the holidays! 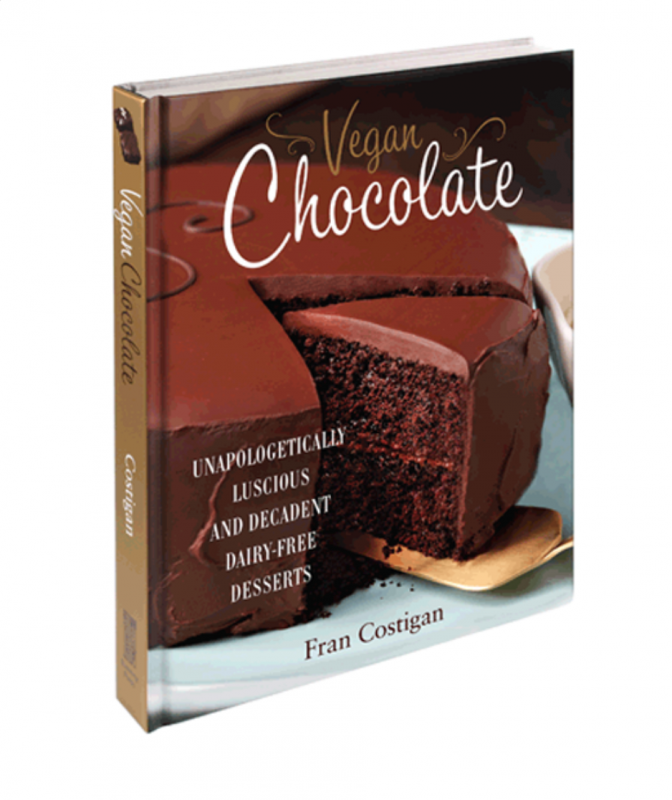 The thing is, vegan desserts are inclusive—and unapologetically delicious, assuming you have chosen a well-tested recipe from a talented chef. This torte is raw or can be rawish, depending on the ingredients you use, and it is gluten-free, too. 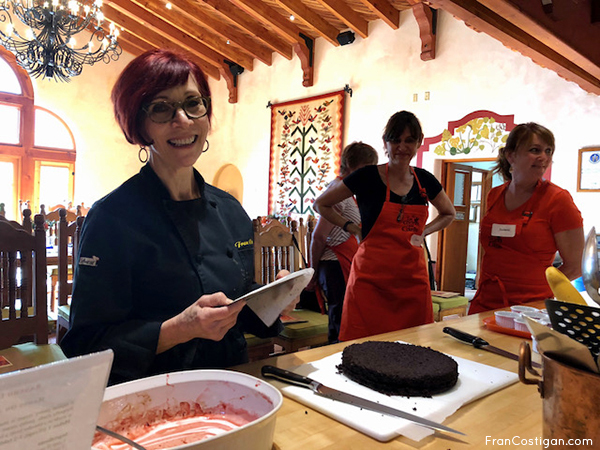 The Chocolate Ganache Torte, from my friend and colleague Wicked Healthy Chef Chad Sarno, is one of the most popular recipes in the Essential Vegan Desserts course. It needs no baking and goes together quite quickly. I’ve made it as written, with raw pecans and raw cacao powder, and with roasted and cooled nuts and Dutch process cocoa. I like them both. Use any nuts you like but pecans are ‘buttery’ rich. Store this torte in the freezer or refrigerator until ready to serve. If you fear rich, decadent, intense desserts then you may want to skip this one. But for chocolate lovers this is bliss. To cut through the richness of the torte, pair it with berries, sauce or compote with an acidic bite. Combine the pecans, maple sugar, salt, cinnamon and chipotle powder in a food processor fitted with the metal blade. Process to just blend. Add the coconut butter, if using, and process until the mixture is finely minced, but not a paste. The consistency should resemble a graham cracker crust. Scrape the mixture into a 9-inch fluted tart pan. Using your hands, press the crust into the pan, taking care that the crust is in an even, firm layer over the bottom and up the sides of the pan. Set aside. Place the almond butter, date paste, agave, coconut butter and tamari in a high–speed blender or food processor fitted with the metal blade. Process to just blend. Add the cacao powder and about half of the water and process until smooth, adding water as needed. The final mixture should still be quite thick, so do not add too much water — less is more. This will ensure the torte sets nicely. The amount of water you will need will depend on how thick your date paste was and the type of blender or machine you used. If using a high-speed blender, fold the mixture occasionally with a rubber spatula to avoid overheating and for optimum smoothness. This will ensure that you do not wear out the blender engine. If it’s very difficult to blend, add a touch more liquid. Pour the chocolate filling into the tart crust. Transfer to the freezer and chill for about about 20 minutes to firm up or, refrigerate for about 1 hour or until fully set. To serve the torte, dust a plate with cocoa powder, if desired,, and place a slice of the torte in the center of the plate. The best way to slice the torte is to fill up a tall jug with really hot water. Place your slicing knife into the hot water for a few seconds and then remove the knife, wipe away the water and then make a cut into the torte with the hot knife. Repeat this step for every cut you make — this will ensure a much cleaner cut. * The coconut butter and/or coconut oil can be used to help bind the crust a bit. ** To make this filling into a pudding rather than a torte, use only 3 tbsp of coconut butter and add a bit more water. Serve in small bowls, chill and then garnish with your favorite topping. To hurry things along, you can soak the pitted dates, or any dried fruit, in boiling water. If you are adhering to raw principals, you will not do this. It’s convenient to soak fruit overnight. I use large Medjool dates but any dates, pitted and equal to 6 ounces. Recipe yields 1/2 to 2/3 cup. Put the pitted dates in a small bowl pour the water over. Push the dates down so they are covered. Soak until the dates are very soft, an hour or two but the amount of time depends on the relative soft or dryness of the fruit. For convenience, refrigerate the soaking dates overnight. Put the dates into a blender – a high speed blender is recommended – and process, starting on medium, then move to high, until smooth. Add back as small an amount of the soaking water as possible to keep the paste moving, until you have a very smooth paste with no skins visible and the consistency you want. Date paste will keep for over a week, covered and refrigerated. Alternatively, it can be frozen for several months. It will not freeze solid which facilitates scooping out exact amounts. It isn’t possible to get all of the date paste out of the blender. I add leftover soaking liquid or water to the blender and blend on high. Keep the more liquid date paste to use in smoothies, oatmeal and so on, or add to the date paste you’ve made to thin if desired. Here’s more good news. My friends at Rouxbe are offering a holiday discount on Essential Vegan Desserts as well as these other courses through December 29, 2017. 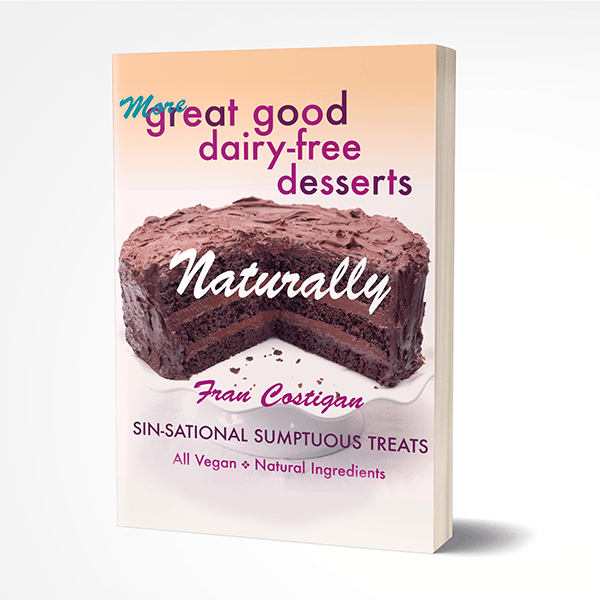 This is based on my popular Vegan Baking Boot Camp®. This 90-day course focuses on essential techniques and recipes so you can create quality vegan desserts with confidence. The course starts with an explanation of key equipment, ingredient selection and function, and foundational techniques for creating desserts without the use of eggs and dairy. Rouxbe’s most popular, this course attracts serious home cooks, chefs, nutritionists, health coaches, physicians and everyone in between. 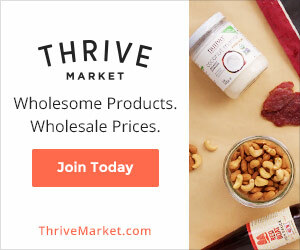 Developed with world-renowned plant-based chef educator Chad Sarno, this ground-breaking certification course is the most comprehensive plant-based course ever put together. This online instructional cooking and nutrition course, taught by leading chef educators and medical professionals, empowers students through their transition to a more health-supportive diet and lifestyle. Completing the course provides individuals with the tools, resources and culinary confidence to take control of their life through food and cooking. Have the world’s leading online culinary school at your fingertips with unlimited access to membership courses, all lessons and hundreds of recipes. Additionally, you will receive chef support from renowned chef educators and hands-on assessments to practice your newly developed technique.